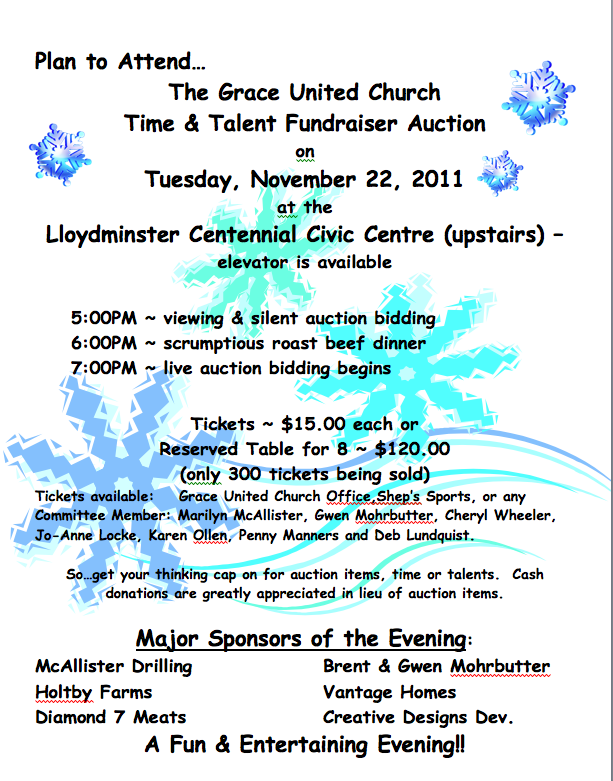 Tickets available: Grace United Church Office,Shep’s Sports, or any Committee Member: Marilyn McAllister, Gwen Mohrbutter, Cheryl Wheeler, Jo-Anne Locke, Karen Ollen, Penny Manners and Deb Lundquist. So…get your thinking cap on for auction items, time or talents. 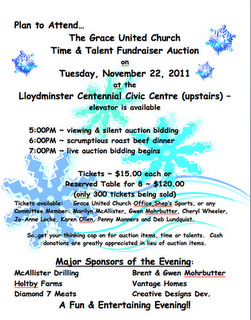 Cash donations are greatly appreciated in lieu of auction items. A Fun & Entertaining Evening! !